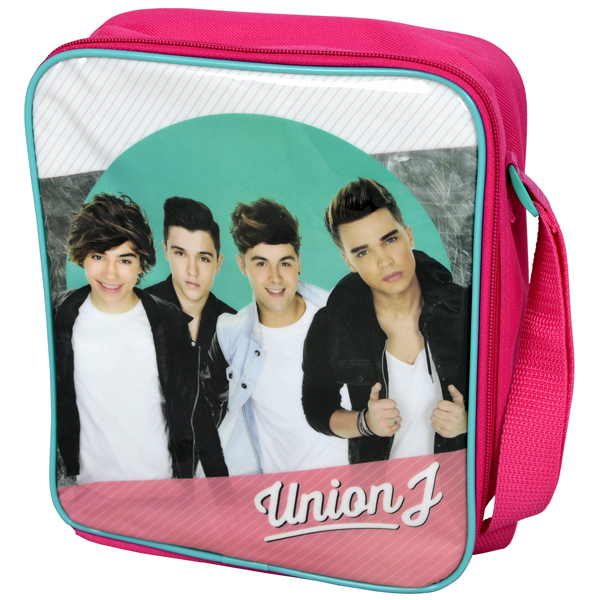 The Union J Lunch Bag is a pink insulated lunchbag with the superb & cool Union J print and branding. Your little ones will be the coolest and cutest kiddy back to school with this Union J lunchbag. The bright colours and sweet graphics will keep her smiling all day long. There is a carrying handle and a name tag at the back it measures approx 24cm x 20cm x 8cm. Wash and care instructions label attached. The Union J Lunch Bag is an official Rovio Entertainment Ltd product and is produced under licence for Simco Ltd.